Earlier we heard that Apple are expected to ditch the headphone jack on their new 2018 iPad Pro tablets and now we have some more details about the tablets. The devices are expected to come with a new design with an almost bezel free display, they will also ditch the home button and come with Apple’s FaceID to unlock the tablets. The size of the two tablets is expected to be the same as the existing models and this will include a 10.5 inch version and a 12.9 inch version. 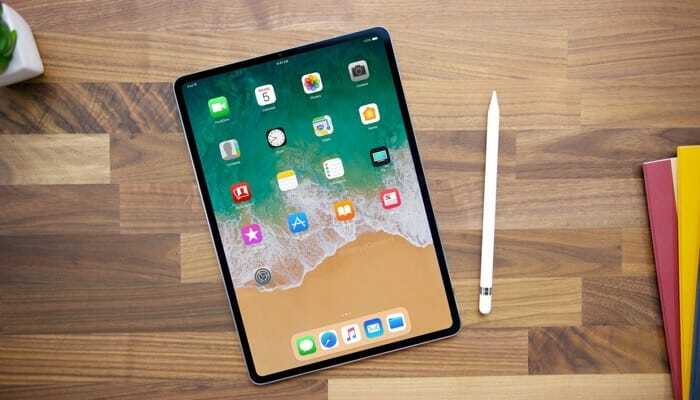 According to a recent report the resolution of these two new iPad Pro tablets will be the same as the existing models, this means that the 10.5 inch models will have a resolution of 2,224 x 1,688 and the 12.9 inch model a resolution of 2732 x 2048 pixels. Apple are expected to announce these new iPads some time this month, they will also announce a new range of Macs at their press event. The company has not given a date for the press event as yet, although that is expected to be made official some time this week.